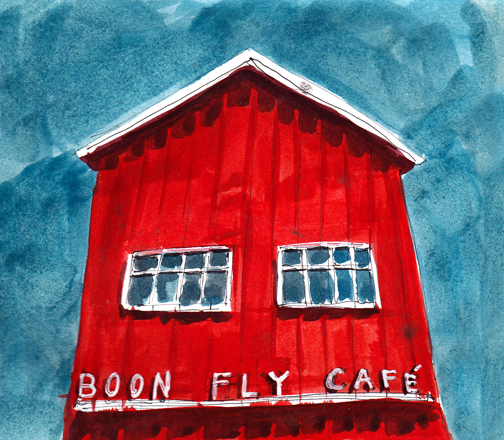 BOON FLY CAFE , CARNEROS —Went up here last weekend to escape the San Francisco summer fog. Quant, rustic, modern, delicious. A friend had this breakfast cocktail while we waited. 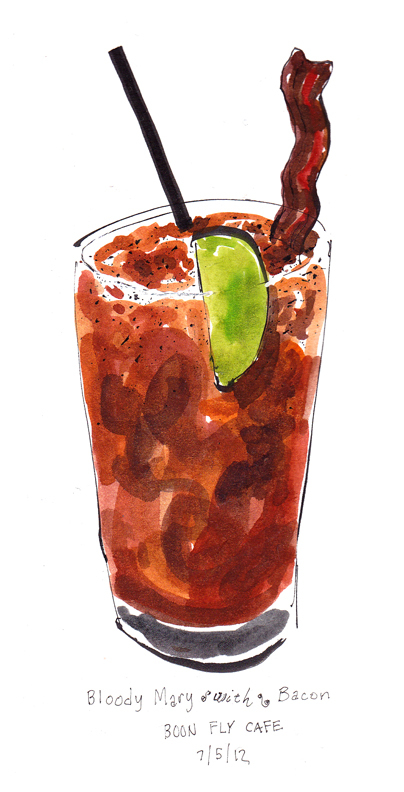 Too spicy for my liking, but love the idea! 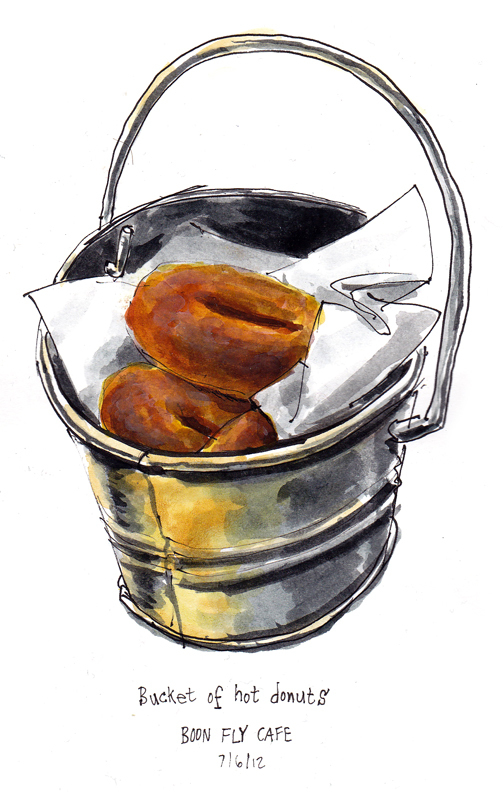 We started the meal with a bucket of thier signature hot donuts. You can tell them how many you want. We did one a piece. 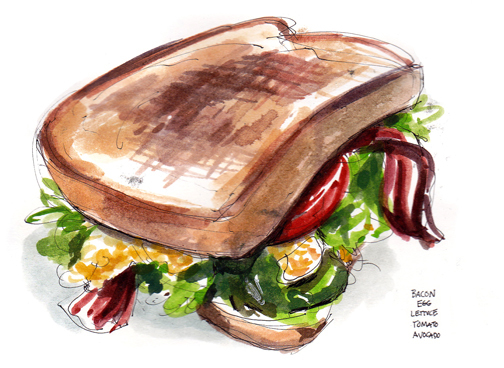 Possible inspired by the bacon bloody mary, I had the Bacon, Egg, Lettuce, Tomato, Avocado Sandwich.